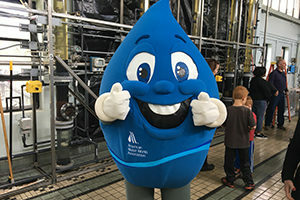 To celebrate drinking water month and the Huron River, the City of Ann Arbor Water Treatment Plant is hosting an open house on Saturday, May 11 from 10 a.m. to 2 p.m. Enjoy tours (every 20 minutes), exhibits, giveaways, light refreshments, and kids activities. Stop by the HRWC table and say hi!